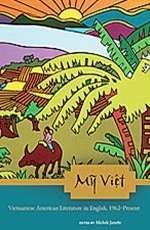 A journey through mythical Vietnam, contemporary America, and the enduring landscape of memory. "Simply put, this is a wonderful first collection....This is a geography that demands attention." 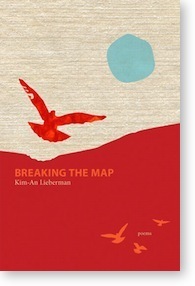 "Kim-An Lieberman's latest collection of poems, Breaking the Map, examines her heritage in intelligent, unsentimental ways. Even when she doesn't write autobiographical poems...she's writing about why we're here. She finds delicious, unexpected answers." "Kim-An Lieberman’s gorgeous poems don’t just map human experience, they crawl through its dust, searching. Her subjects are sometimes mythical, fanciful—a lover sprouts wings, a water buffalo arrives in the suburbs—but even the mundane is magnified by language that is startling, and exquisitely precise..."
"...whatever forty-year-old image we might still remember from Vietnam or America that is part real and part television, she makes whole, new, and vibrant. She makes us a witness more than reader."